What Type of Buy-Sell Agreement is Right? September 30, 2016 By JRL, Esq. Buy-Sell agreements are often an overlooked, but critical part of planning for a business with two or more owners. 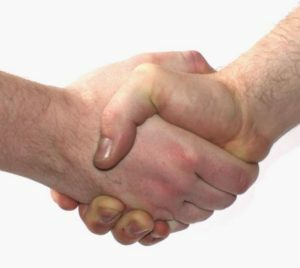 The agreement can cover many different and unexpected circumstances. See my prior article for a discussion of the importance of buy-sell agreements. There exist three basic types of buy-sell agreements. First is the redemption agreement, under which the business entity is required to buy the departing owner’s interest. Buy-sell agreements are usually funded with life insurance. If there are several owners, a redemption agreement reduces the number of life insurance policies needed. Only one policy in required for each owner, which is owned by the company. Second, there is the common cross-purchase agreement where the remaining owners have an obligation to purchase the departing owner’s interest. 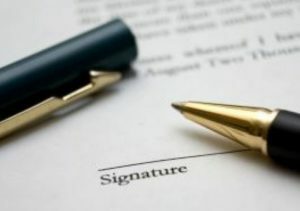 One benefit of this type of agreement is that the remaining owners that purchase the departing owner’s interest receive a stepped-up basis on the purchased interest. However, if there are several owners and life insurance is needed to fund the purchase if one of the owners dies, there will be a need for several more policies. For example, if there are four owners, under a cross-purchase agreement each owner must hold a policy on the lives of the other three owners. Thus, twelve life policies are needed instead of just four. The third type is the hybrid agreement whereby the departing owner’s interest may first be offered to the remaining owners. If they elect not to exercise their right to purchase the departing owner’s interest, the entity is then required to purchase this interest. This provides maximum flexibility to address the situation based upon the circumstances that exist at the time the triggering event occurs.